"Just in case you are planning to visit this remote town for adventure or research purposes, I want to share this travel guide including points of interest that might awaken the curiosity in you." The points of interest here may not be a stunning view but it could offer sights and experiences that will last long in your memory. Baay is the southern tribal domain of the Binongan Tribe of Abra in the town of Licuan-Baay or interchangeably called as Baay-Licuan. Licuan is a different domain. But these two tribal domains form as one town. Where to Stay. It is highly recommended to contact someone in Baay whom you trust. If you have a friend here, much better. 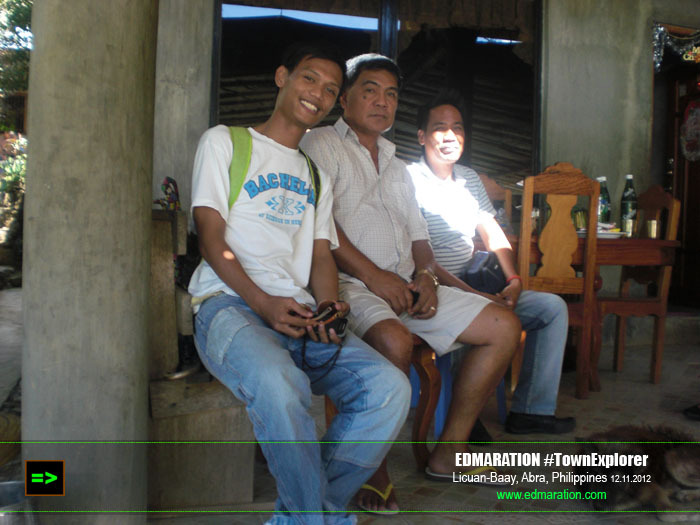 There are no accommodations or inns here aside from staying in the houses of the local residents. If you are serious enough exploring this town for a research project, then the best way is to get in touch with the town mayor or the provincial government of Abra in Bangued at the Provincial Capitol. They may assist in finding a place to stay overnight but that would not be an easy thing I know. Still, the best way is to get in touch to someone whom you know here or connect to the connections of your connections. The house of the incumbent mayor (as of this writing), Christopher Millare is located in Brgy. Bulbulala in Baay which is 3-4 hours away from Bangued (includes the 1.5 to 2 hours of off-road riding from the main road). Get a guide. Ok, if you are really serious enough to visit this town for research, get your guide. You know, I am particular with "research projects" because I would not yet recommend this for glampackers and some tourists. I would recommend this town for backpackers and researchers who don't have a room for disappointments upon visiting this town. This town is open for the curious and the brave. I won't overrate, so I am telling now that this town is good for researchers or curious travelers only. 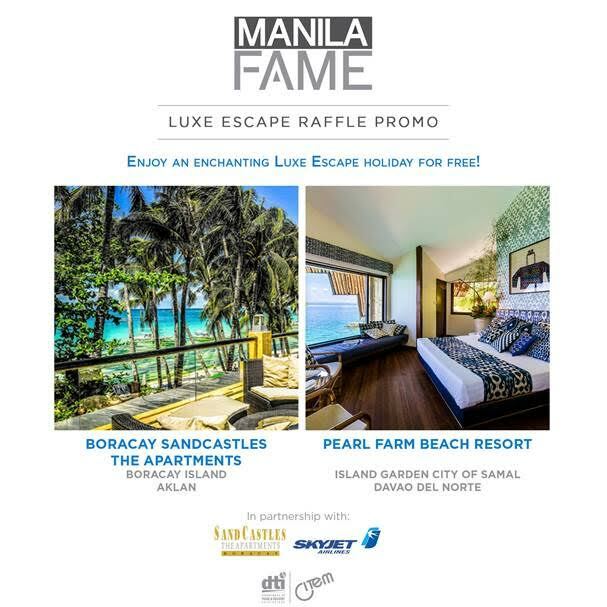 Considering the effort and the cost of getting here, there are no sites that could rival the top destinations in the Philippines and great places like El Nido, Vigan, Chocolate Hills (although it has the self-coined Chocolate Mountains), or other ultra-worthy vistas for a tourist's eye. This town welcomes people who wants to gain knowledge or satisfy their curiosity. If you are interested, give me a message and I will try to contact some of my connections in Abra to serve as your guide. 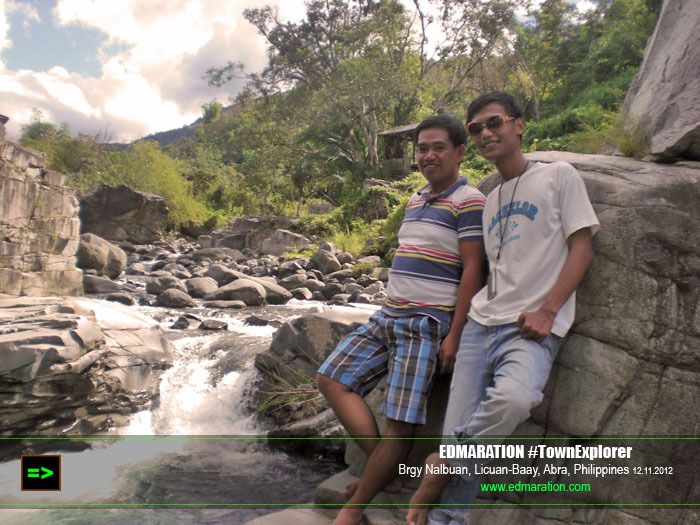 With Michael Bumogas, guiding me to Panaclisan Falls. How to get there. After getting a guide and securing an accommodation, you have to commute now in a jeep. Sometimes, it might require you to topload while taking a dusty road to accommodate all the passengers. There is only 1 jeep that traverse the Bangued-Baay route and it travels to Baay every other day (Any update for this? I hope there are more than 1 jeeps now). So it is important to get a guide. Wear clothes that could protect you from the heat of the sun. Bring water. Empty your bowel and bladder before the ride. It is a long challenging ride. If you have a private vehicle, much better. Your guide will guide you for the route. Next are these points of interest (a phrase I will use in this town as an alternative for tourist attractions). These spots, though not as great as the others, might still give you the urge to explore the town especially if you're just curious like me to see how all the towns in the Philippines look like. Baay-Licuan Mountain ranges. The mountain ranges of Baay is a point of interest. The mountains are brown and bald. But they say, it is because of the quality of the topsoil that is unable to host trees. Others say it is simply deforestation. Note that not all mountains in Baay look like this, some are really verdant too. 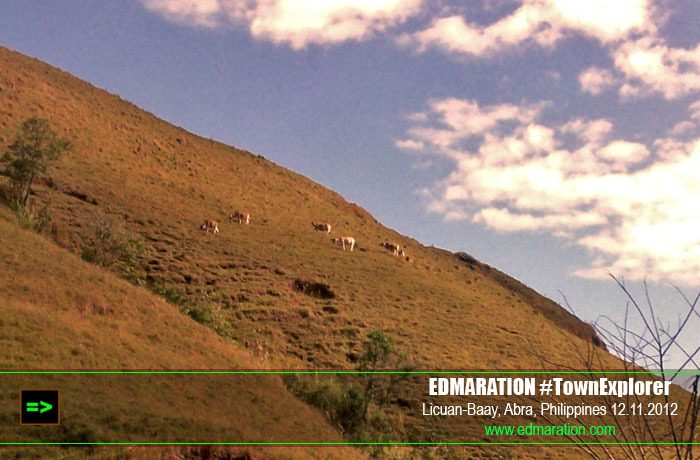 These mountains can be seen along the Abra-Kalinga Road. To learn more about this spot, click here. Mt. Capcappo (or Capcapo). 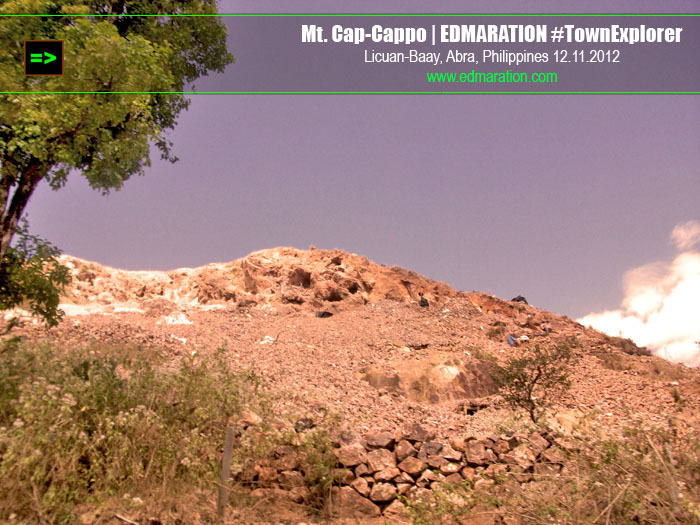 It may look barren and hideous but this mountain is rich in gold deposits. 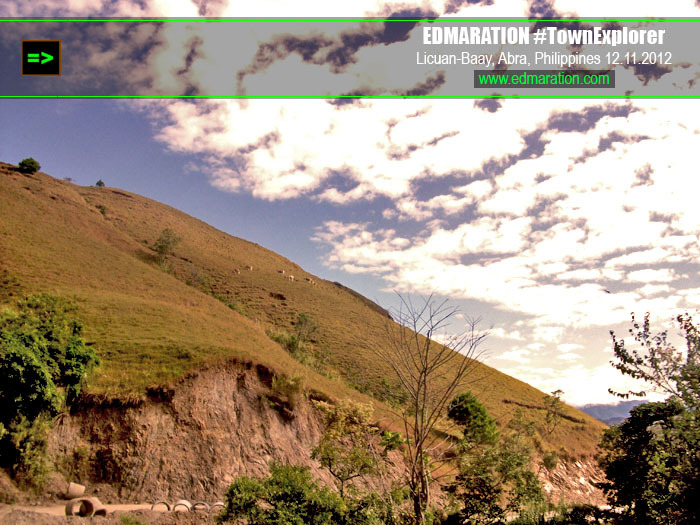 The people of Licuan-Baay climb this mountain not for leisure but to dig it's golds through small-scale-mining scheme. A Canadian company used to apply a large-scale mining permit here but it was not granted primarily due to the resistance of the indigenous residents of the town. Mountain Ranches. Baay is home to some ranches that occupy one whole mountain or hill. Most of them are owned by private ranchers but there is a ranch here owned by ASIST (Abra State Institute for Science and Technology). Enjoy these breathtaking views of the ranches of Baay and see herds freely roaming around these high-altitude grazing fields. 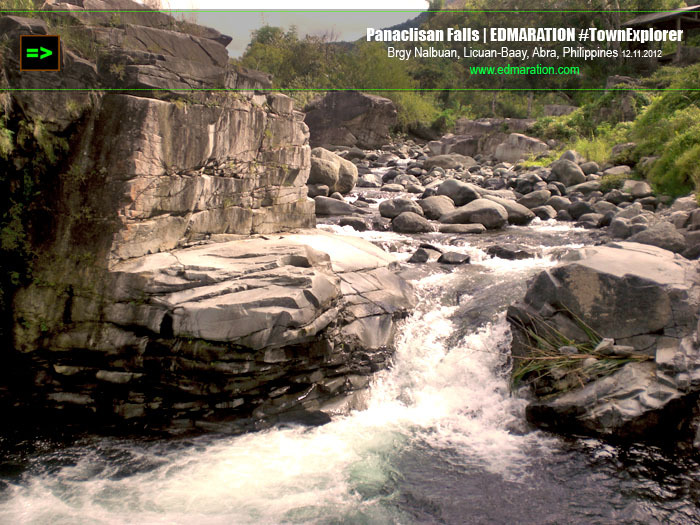 Panaclisan Falls and Lagoon. 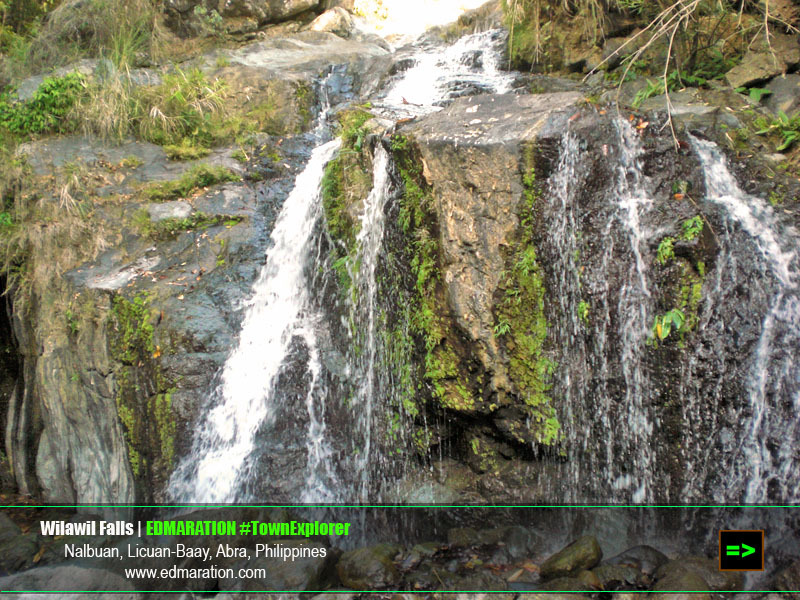 Another interesting point in Baay is the Panaclisan Falls. It is a short waterfall but great enough to sustain a cool, deep, wide natural lagoon that never runs out of water. Wilawil Falls is another short waterfall in Baay about 20-feet tall. This one is secluded and it is located within the forest areas of Baay. River Bumming. No beach bumming during summer in highlands but you could river-bum. 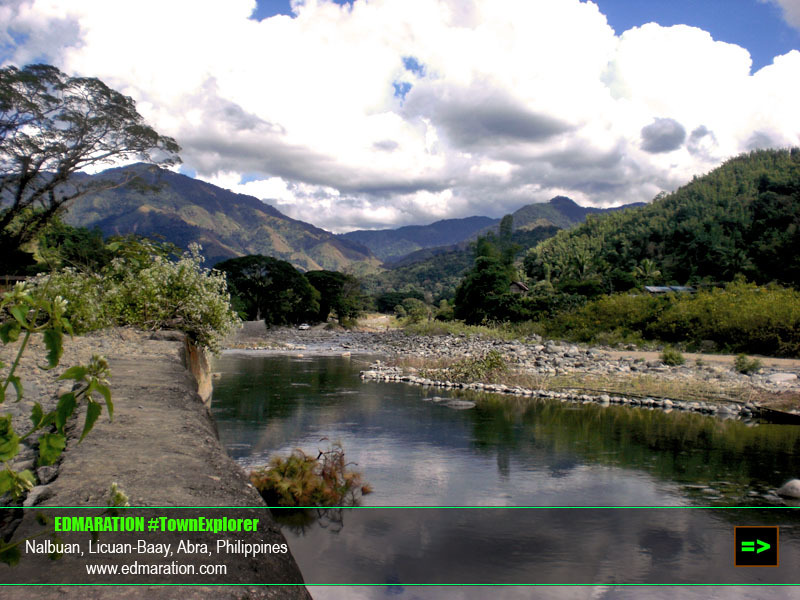 Swim into Bulbulala's fresh and inviting river or simply relax and enjoy the view. You can also catch a river fish if you like. Here is a travel guide to the town of Licuan-Baay and finally, uhhhh, I'm done with my Licuan-Baay series. Huh! 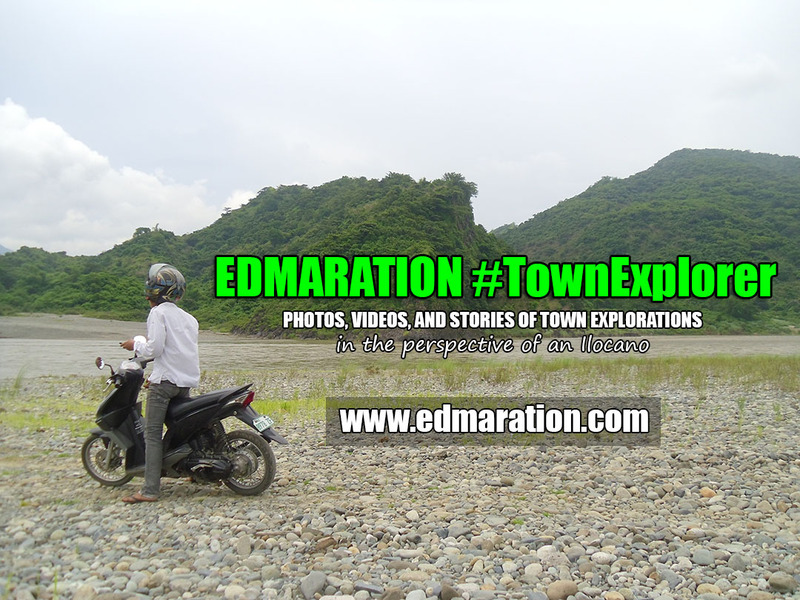 It took me more than a month to blog all my town exploration stories in Baay. I hope to see you in my next town. 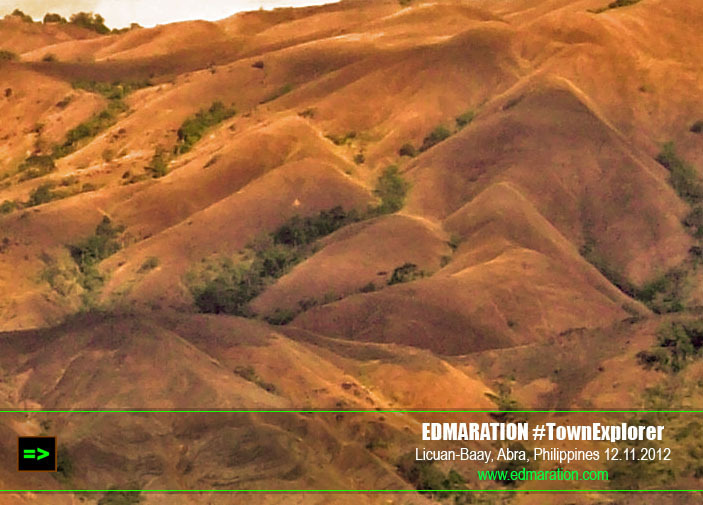 Thank you for following our Licuan-Baay series fellow #TownExplorers! 'Til our next town! It was a pleasure to read blogs on your site. I would like to share your travel blog with the readers of travel blog I maintain. If you're interested, please send me an email at rachna @ cheapoair.com and I'll provide you with more details. Interesting post. Indeed there are beautiful places worth visiting everywhere. Traveling Morion | Yes bro, maganda sa Abra, kaso medyo malayo nga lang yung mga natural wonders like caves, lakes, falls, etc. Mahirap din sasakyan papunta sa mga bundok although maganda naman na ang daan sa mga ibang lugar. Plus factor dito yung may sarili kang sasakyan na 4X4, or trail bike at guide na rin. Hehehe. [Personal] ► Where do Broken Hearts Go?